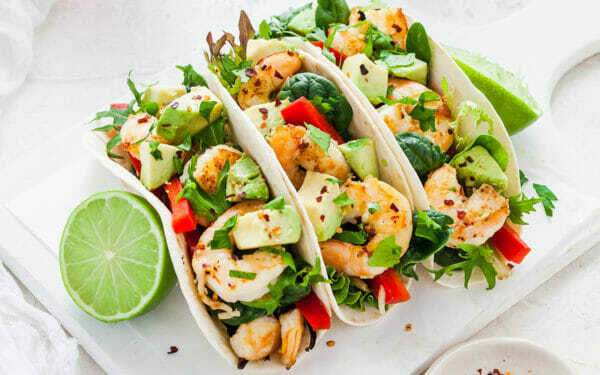 These delicious Spicy Prawn and Coriander Soft Tacos are a delicious meal that you can amend to suit the whole family by reducing the spice or swapping the prawns for chicken. They are so easy to make and only takes 15 minutes so can be whipped up mid-week when you are struggling to find the time or energy to cook. The recipe comes from our 15 Minute Meals as part of the 28 Day Weight Loss Challenge. Heat olive oil in a frying pan over medium-high heat. Add the prawns, garlic and chilli and cook for 3-4 minutes or until the prawns have turned pink and are cooked through. 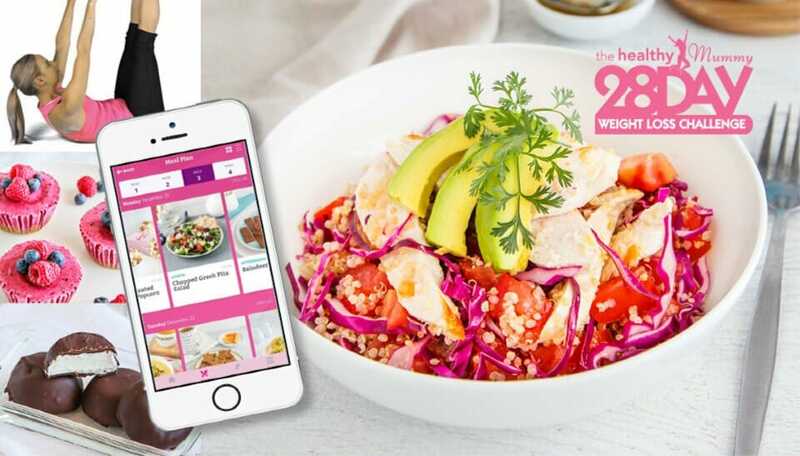 Get access to over 4,000 recipes like this one with the 28 Day Weight Loss Challenge!